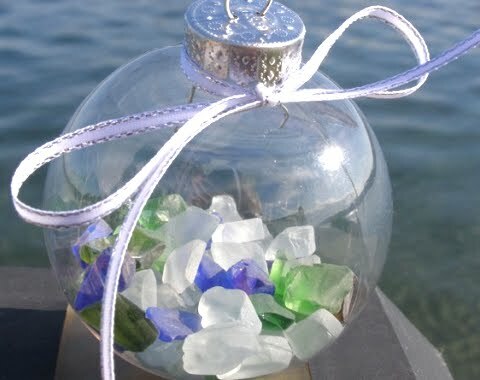 These DIY coastal ornaments are the most popular Christmas ornament crafts. Everybody loves the filled clear ball ornaments. They are super easy to make and just lovely. From Just Beachy Now. 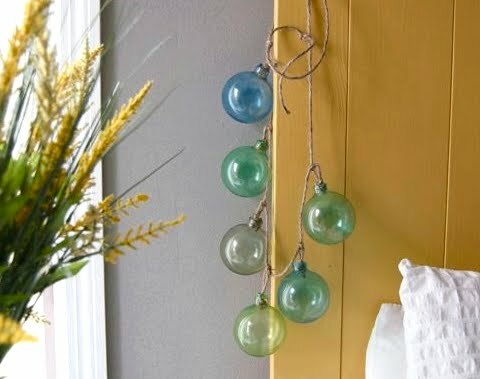 Depending on what you want to place inside the ornaments, you can use regular clear ball ornaments or acrylic ball ornaments that snap open in the middle. 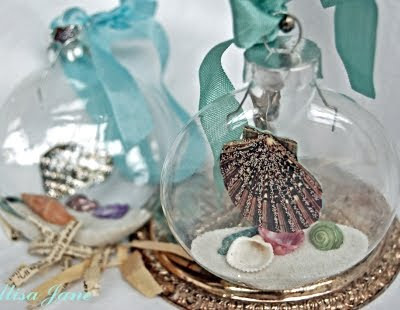 Filled Christmas ornament by Home Stories A to Z, featured on Make a Beach Christmas Ornament. 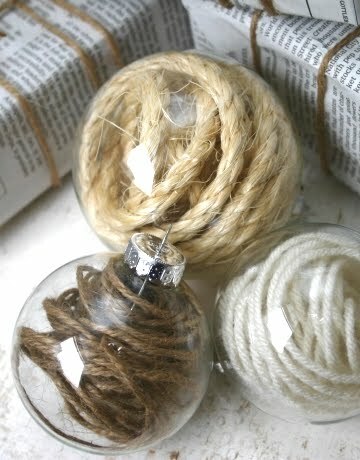 Below are three more examples, all featured on 12 Homemade Xmas Ornaments to Make. 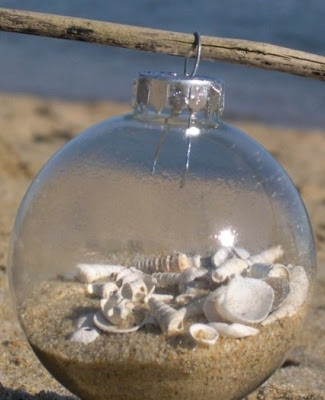 Lovely vacation ornaments by Turtles and Tails. Rope filled. Original source no longer available. Swirly waves and a boat, seen at Coastal Living. For this type of filling you'll need an acrylic ball ornament that has two halves and snaps open. A cute photo Christmas ornament. Original source unknown. 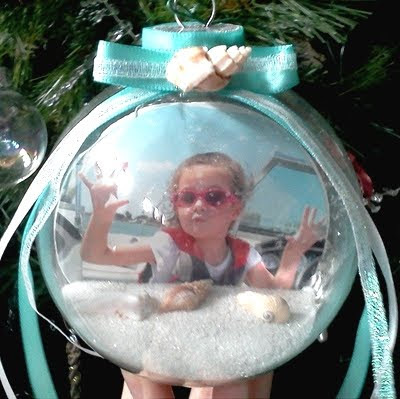 Another filled ornament featured on Ideas for Homemade Christmas Ornaments Coastal Style. Via Life is a Beautiful Place to Be. 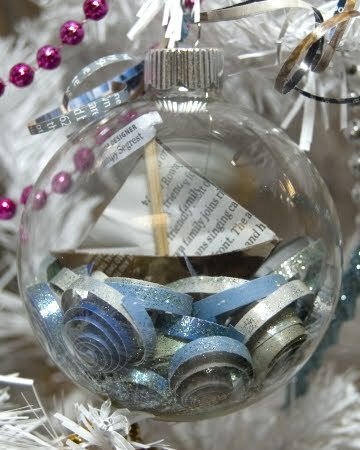 Ball ornaments inspired by Fishing Glass Floats are very popular as well. Handpainted by Matsutake. 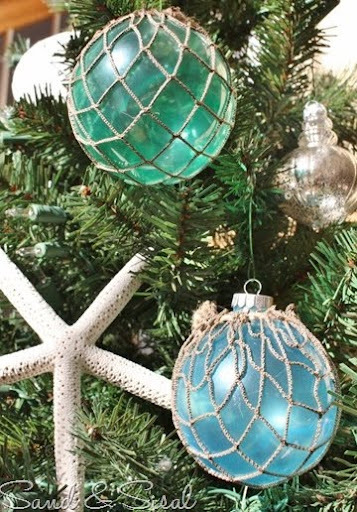 Sand and Sisal's Glass Float Ornaments were painted in sea colors with a mixture of paint and Mod Podge, and embellished with decorative fish net. Featured on 12 Homemade Xmas Ornament.